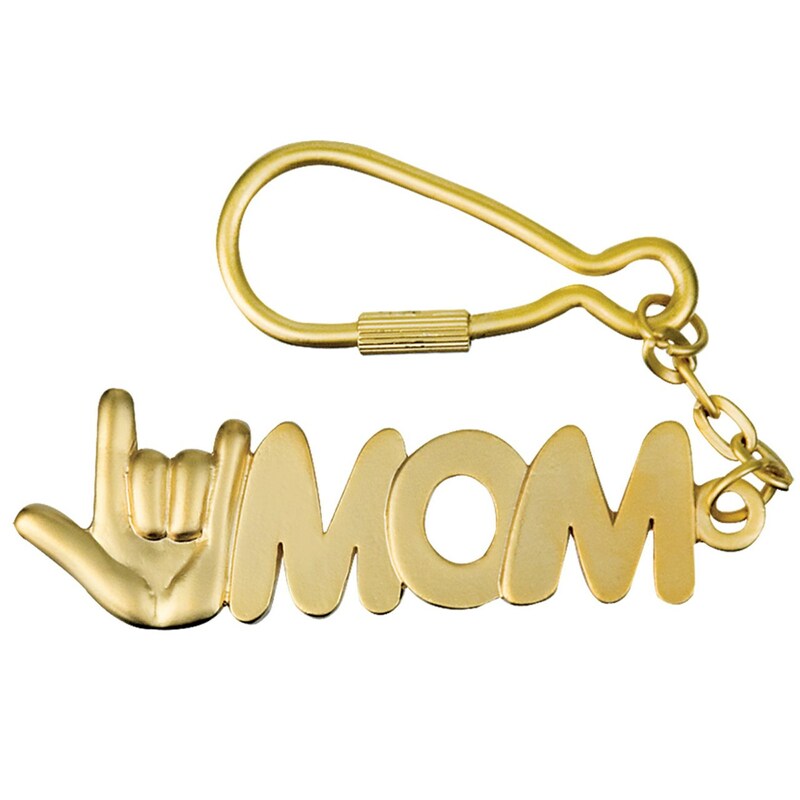 If you love Mom, tell her so This matte golden-colored key chain with MOM and the sign language symbol for I love you will keep her keys safe and remind her that she's loved every time she reaches for them. A screw-tight clasp ensures that keys stay on the key ring once placed, or with a simple twist, add more keys. Key holder alone measures approximately 2. Entire key chain measures: 5-1/2 long.